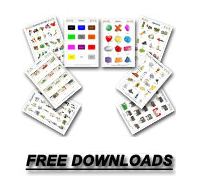 Introduce animal and zoo vocabulary to students. Ask students simple questions such as: What colour is the tiger? How many legs has it got? What is your favourite animal? 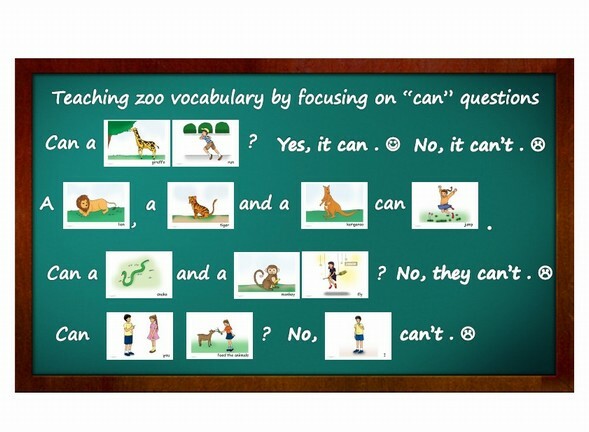 e.g.. Introduce verb vocabulary and ask about capabilities from animals, what they can do and what they can’t do. For lower students you also can write animal vocabulary on the board and students have to stick the correct flashcards above the writing. Memory Master - Have the students sit in a circle. Designate one student to be the Memory Master. Arrange the flashcards face up in the center. Each student chooses a flashcard and says the word. They cannot touch the flashcards. After everyone has chosen, the Memory Master must hand the correct flashcards to each student, repeating the words.